Santoori's book shop offers a great selection of best-selling Norwegian to Persian dictionaries. 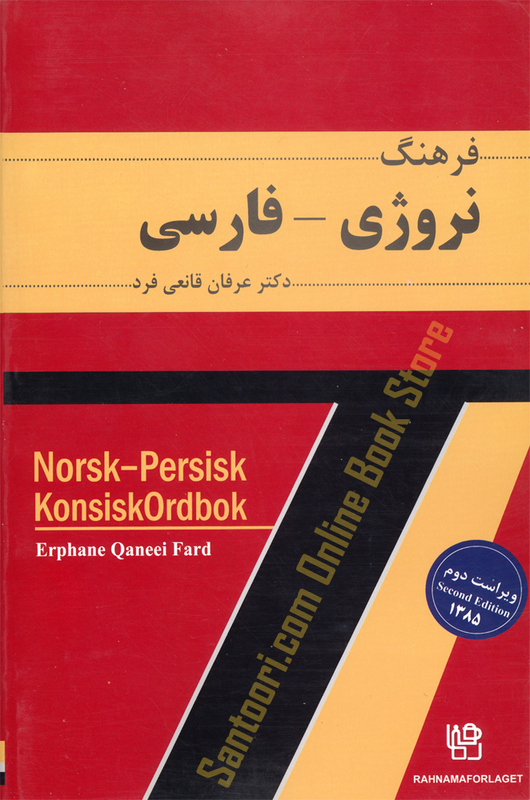 This page is focused on Norwegian Persian dictionaries of different famous authors with different sizes like Pott, Octavo etc. Dette er en moderne ordbok som inneholder ca. 50.000 hovedoppslag ord, og en rekke eksempler fra persisk dagligtale. Persisk oppslagsord er gjengitt i lydskrift, og innledningsvis i boken forklares de persisk uttalereglene. This is a modern Norwegian Persian dictionary containing approx. 50,000 words, and a number of examples from the Persian vernacular. Persian dictionary is given in phonetic notation, and the introduction to the book explains the Persian pronunciation rules.